On this day, it marks Singapore’s 50th birthday. Since gaining independence on 9 August 1965, Singapore has emerged as the core of Asia’s economy and housing has always been one of the pressing problems faced by the government. But yet, this has also been one of key driving force to the nation’s economic growth for decades. 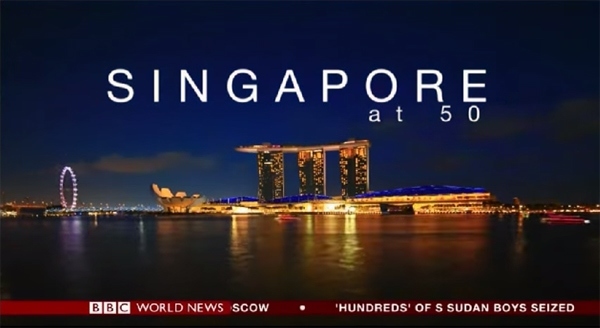 In the following coverage from BBC World, Singapore presenter Sharanjit Leyl will be showing us the past and present of Singapore – how this tiny nation transformed from a tiny island with villages filled with makeshift wooden houses, to one of the top and most remarkable cities in the world. Despite global economic uncertainty since 2007, Singapore has been well-known to have one of the world’s wealthiest community. Foreign property buyers splashing cash on Singapore’s luxury condominiums is a common sight, especially in areas such as Marina Bay, Orchard and Ardmore region. Of course, with Alibaba’s co-founder Mr Sun Tongyu making the recent headlines on his S$51 million purchase for a penthouse at Le Nouvel Ardmore. Nevertheless, all these won’t have happened if not for Singapore’s founding father, Mr Lee Kuan Yew. His “promise” to transform Singapore from a mudflat/swamp into a modern city – a metropolis, indeed came true. Today we are surrounded by high-rise Singapore condos and public housing and we really got to thank this man for that.